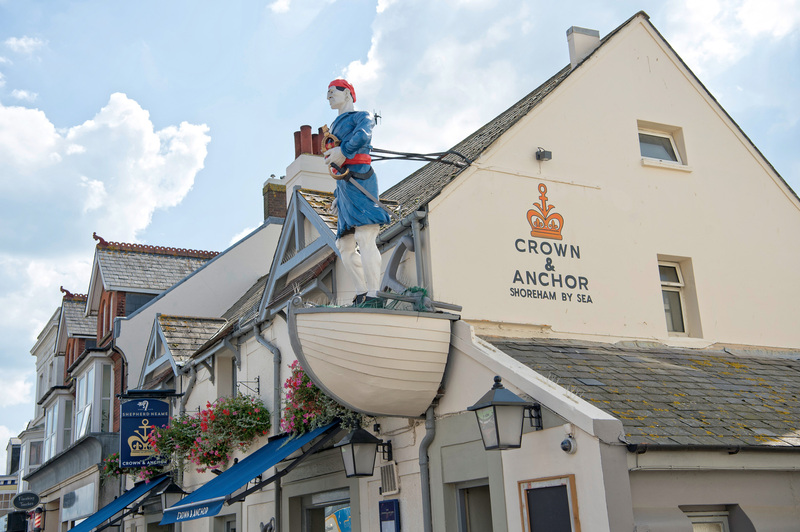 The giant sized effigy of a swashbuckling buccaneer guarding Shoreham's Crown & Anchor also guards its exciting secrets. 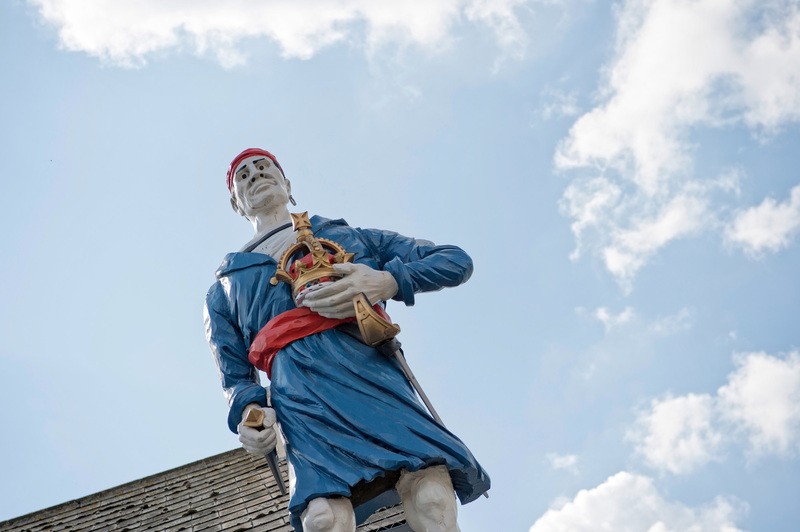 The bold buccaneer is a symbol of this magical little seaside town's smuggling past. 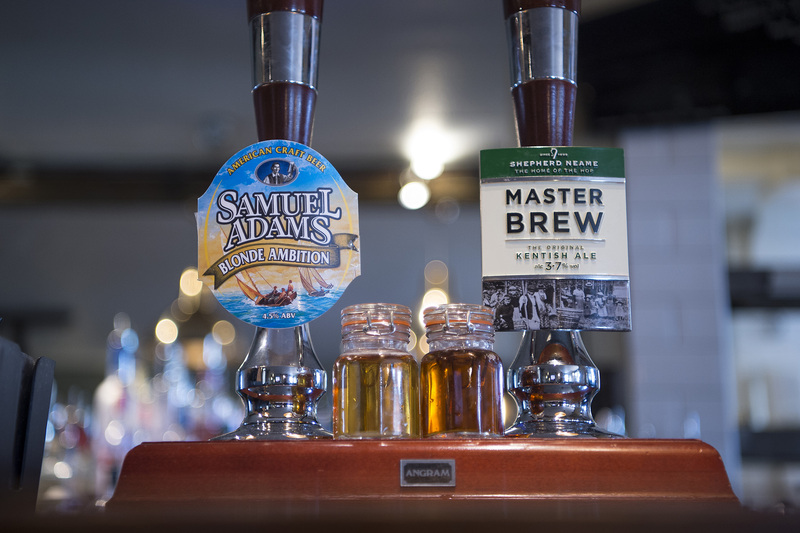 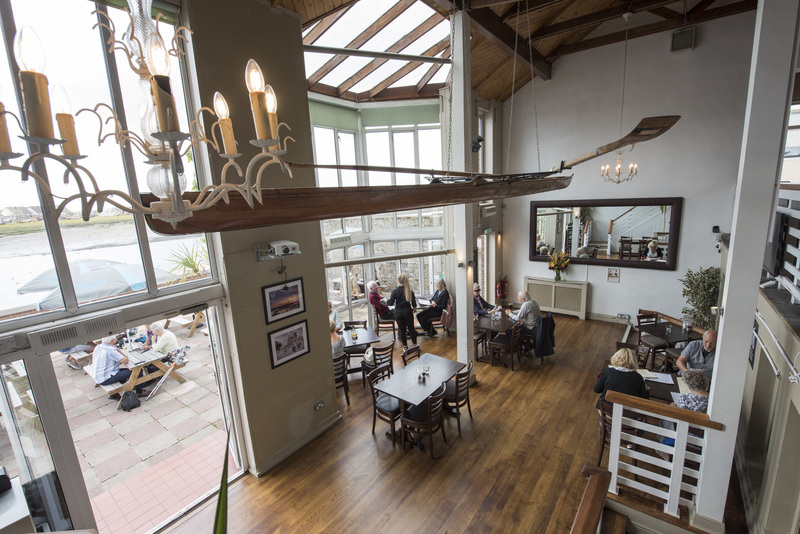 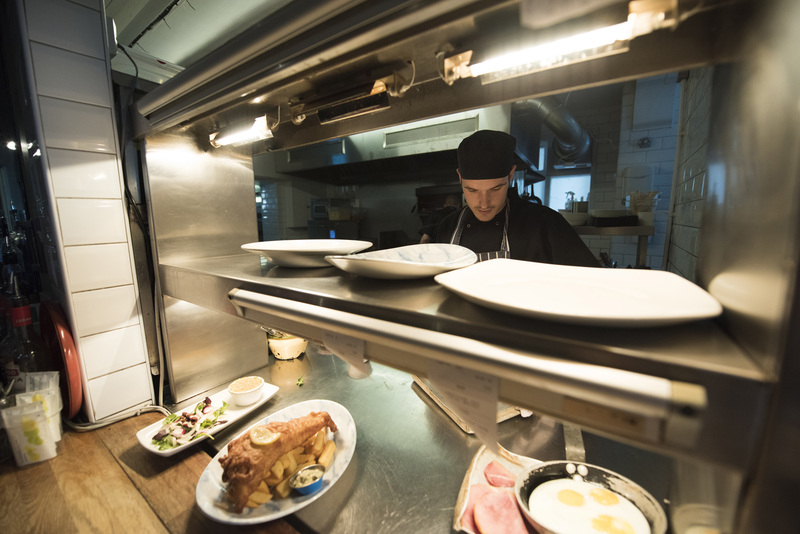 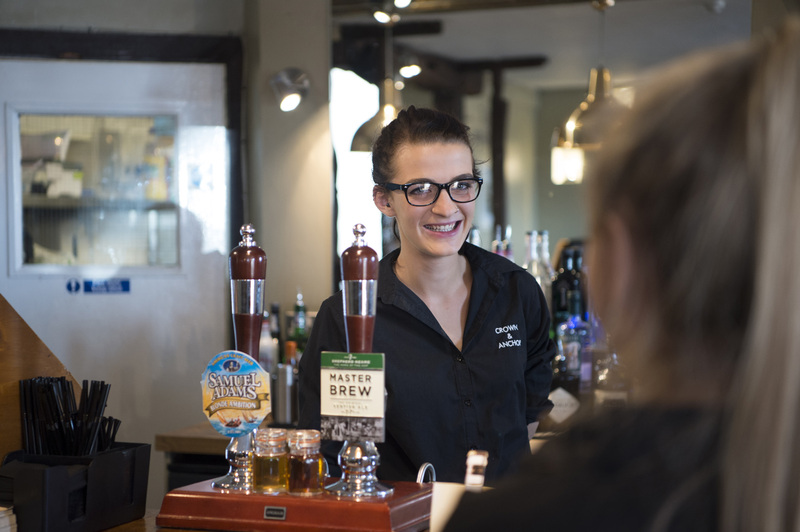 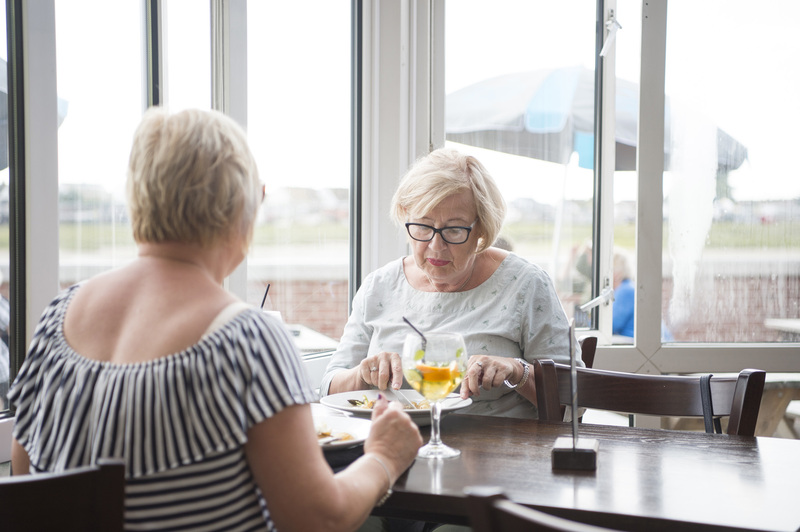 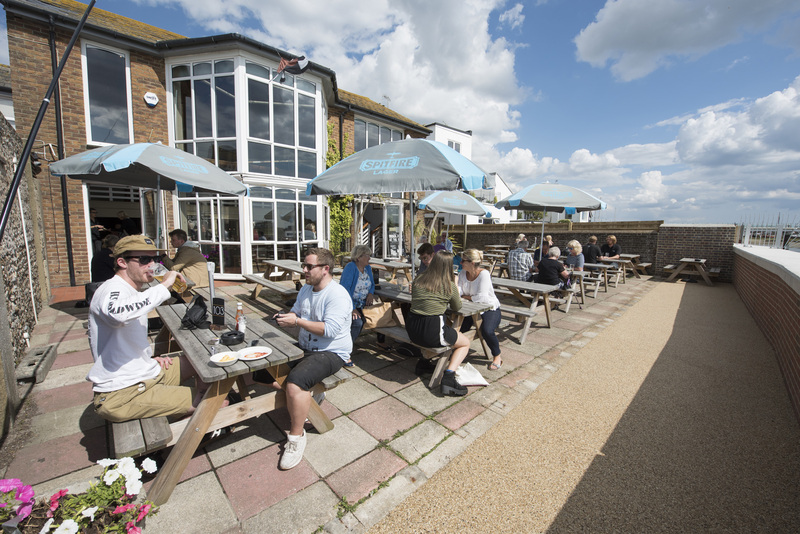 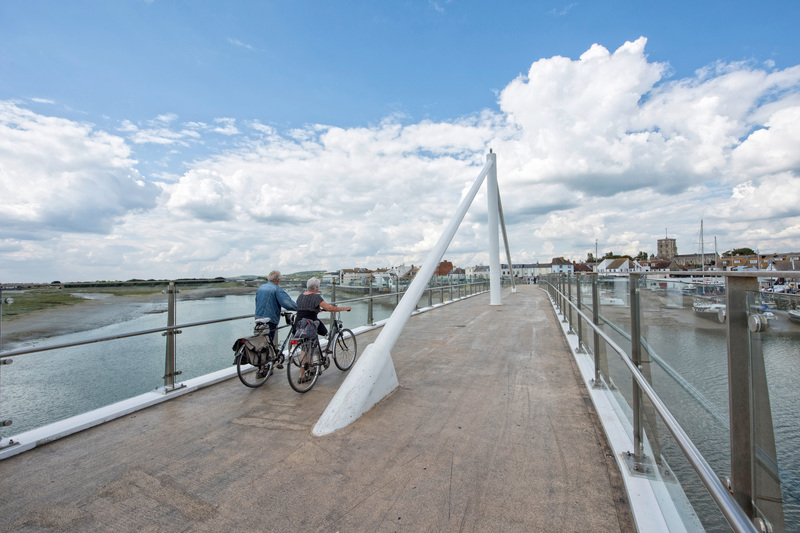 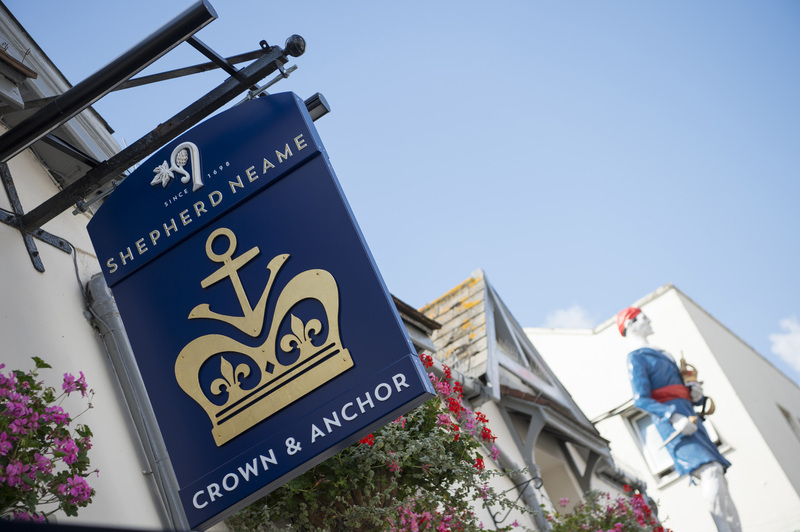 Fronting Shoreham's High Street and backing on to the mouth of the River Adur, the Crown & Anchor's broad riverside terrace offers spectacular views that makes alfresco dining a never to be forgotten pleasure. 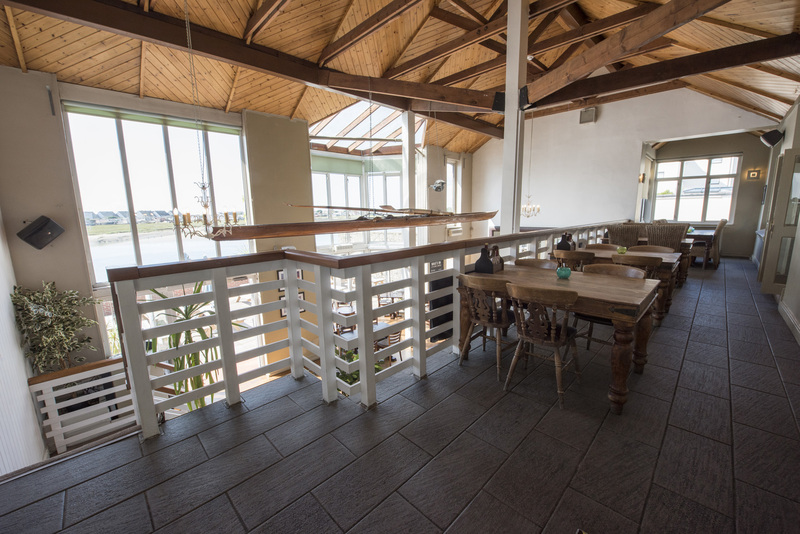 See a sunset over the water, a backdrop of the distant South Downs... the perfect environment for a romantic dinner.